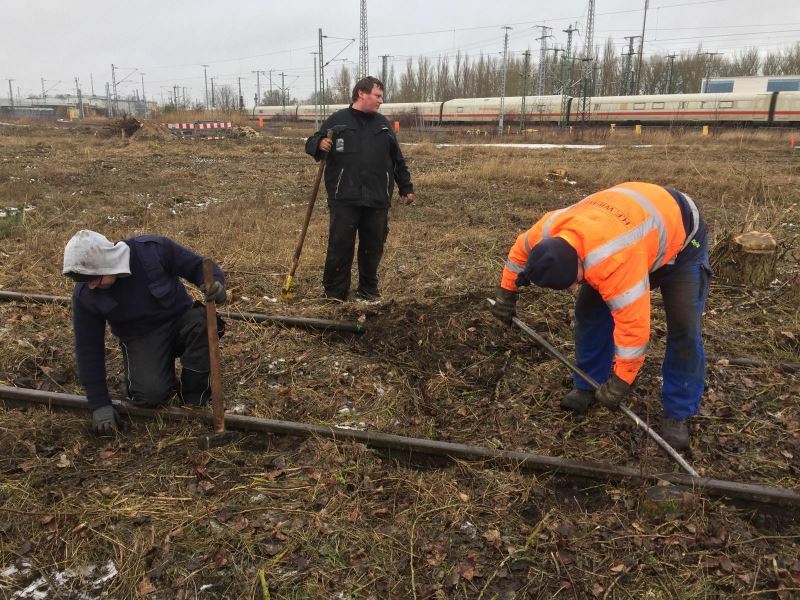 A number of members answered the call to a working party, which worked in the most unpleasant weather conditions (ground frost, snow, sleet and after that, rain during the day). 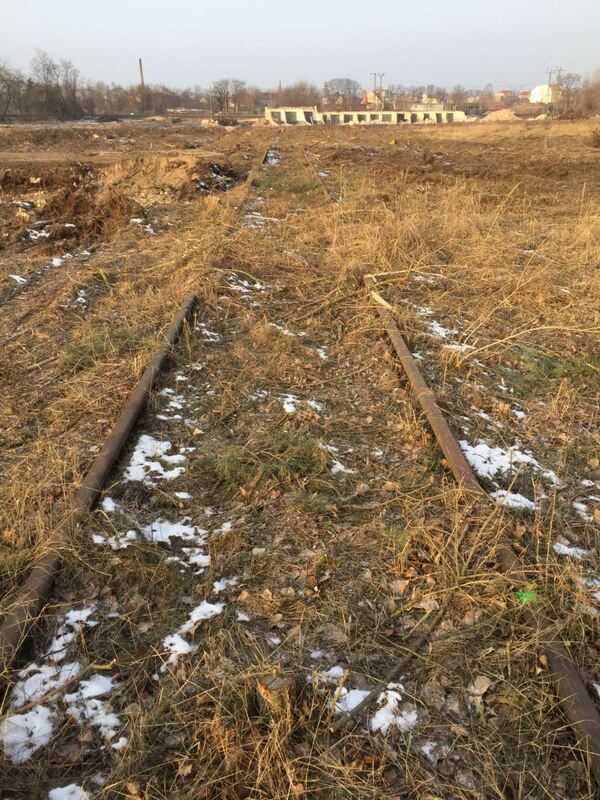 A demolition contractor offered us the opportunity to recover rails and fixing materials from a site in Wittenberge. The materials will find a good use in future infrastructure projects, such as when we completely renew the track in No. 1 road in the locoshed. The following pictures show the overgrown trackwork before the working party got busy, and the members hard at it recovering the materials.